The Importance of Detoxifying the Body to Treat Yeast Infections - YeastInfection.Org by Eric Bakker N.D.
September 10, 2013 by Eric Bakker N.D. Regardless of how you feel, whether you feel OK or ill, regardless of the cause of your ill health, regular detoxification will help to free up your body’s resources and improve the majority of its operations. My personal healthcare facility has been providing internal cleansing programs for over two decades which have led to extraordinary health enhancements for numerous patients, numerous that have suffered numerous years of chronic poor health. Many people living in the Western developed nations will have some degree of intestinal dysbosis, an imbalance of the beneficial and not so beneficial flora. Internal cleansing helps the release of harmful toxins from the liver, kidneys and across the entire body, lowering the amount of pathogenic micro-organisms in addition to improving digestive function. By improving the way your body releases many and various toxic compounds you will not only assist in the prevention of many chronic degenerative disease, you will improve the way your body operates on all levels and allow healing and repair to occur more efficiently and rapidly. 1. Your body produces various chemicals and toxins when it comes to yeast infection, both candida as well as the immune system create these chemicals independently which your body needs to clear. 2. 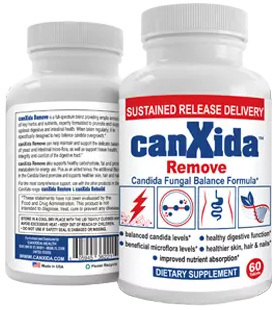 The candida MEVY Diet will help you liberate toxins as you invariably lose weight. Several different types of toxins tend to be stored in body fat tissues, and since your bodyweight is shed (perhaps even tiny quantities), such toxins are freed into your blood stream specially, moving into your liver and kidneys. Detoxification will to reduce the symptoms like itchy skin, bad breath, headaches, fatigue and body odour, which invariably accompany these toxic releases. 3. If you do happen to go through die-off (a Herxheimer reaction) as the yeast cells are dying, toxins will be released into the blood stream that also need clearing. 4. A good 3-step detoxification program as outlined ahead paves the way for excellent digestive health following the recovery from your yeast infection. 5. In my experience, those who detox once per year dramatically reduce their chances of developing a recurrence of their yeast infection. A toxin is any substance that is poisonous or hazardous to the processes that maintain life, in other words, anything that interferes with the millions of reactions that occur throughout our body and mind every few seconds. A detoxification program will improve you health, wellbeing and decrease chances of future illness and disease. It may well be the single most effective action you can take to improve your health, wellness, and prevent illness. Dramatic results can be seen in a relatively short time, yet the benefits are felt long-term. Hey! I’ve had an infection for a while and while we thought I had gotten rid of it, im very positive it may have spread to my kidneys. What should I do?